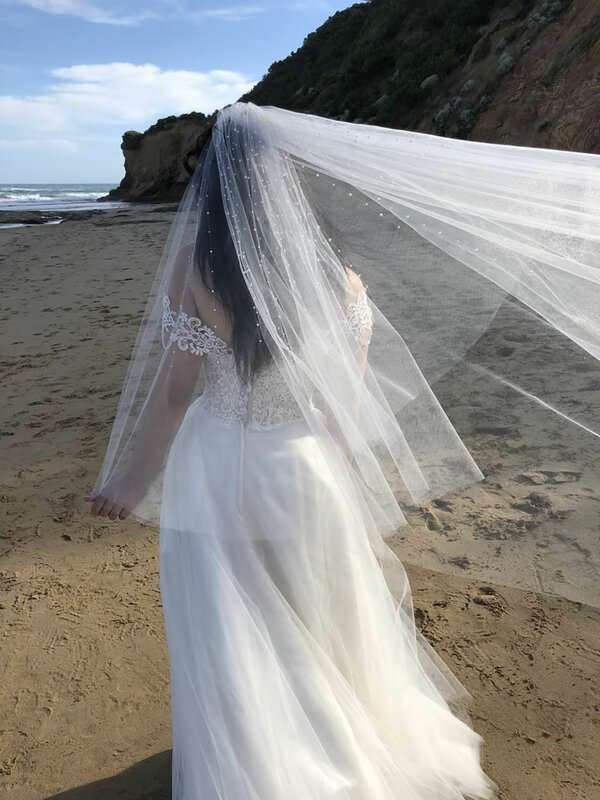 Leave them breathless with our amazing Georgia pearl beaded veil! 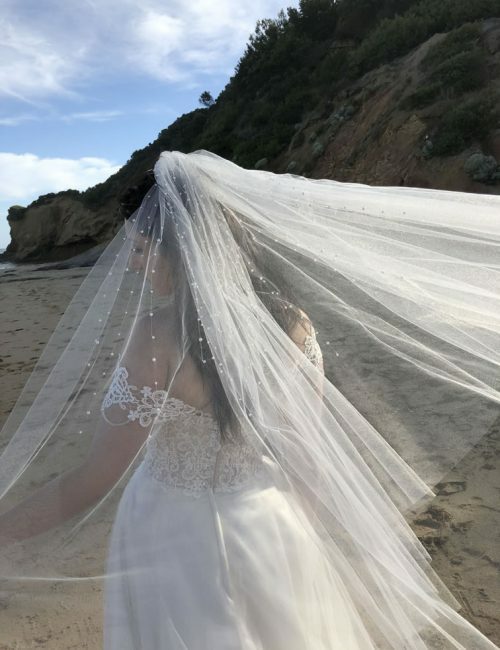 This veil is a masterpiece! 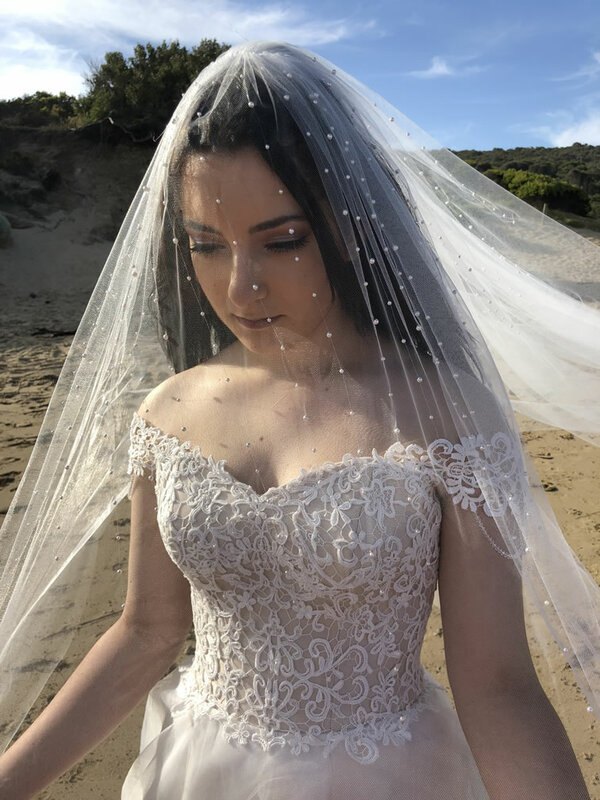 Meticulously hand beaded with Swarovski pearls trickling downwards from the comb, the pearls are placed so they are on the outside when the veil is over the face. 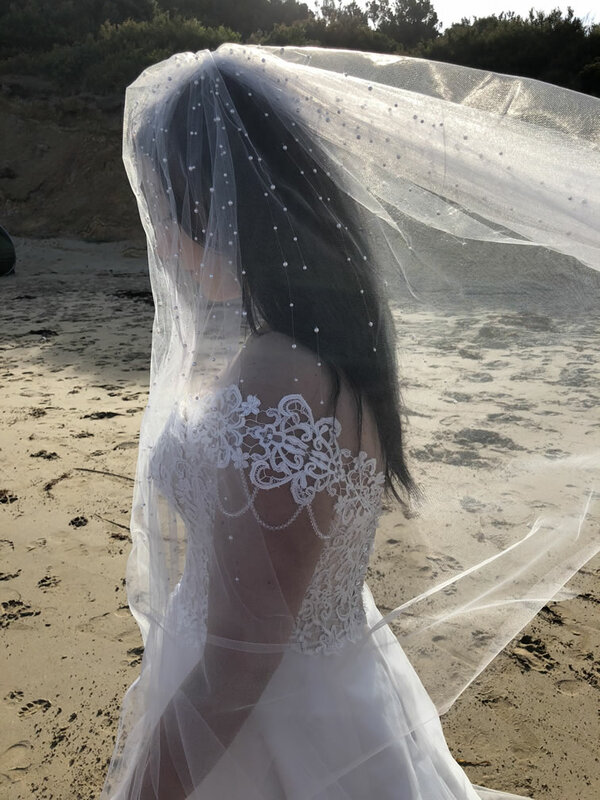 The top tier is fingertip length (100cm) with bottom tier starting from chapel length (210cm), and available in longer lengths. 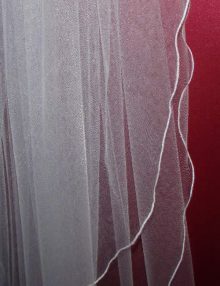 It has a raw or plain cut edge. 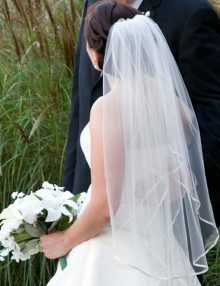 There are subtle gathers at the top with clear comb for easy placement in your hair. This veil should be worn at the top of the head for maximum impact as the pearls trickling over the face look sensational! This veil was originally made for our bride Georgia and we named it after her. 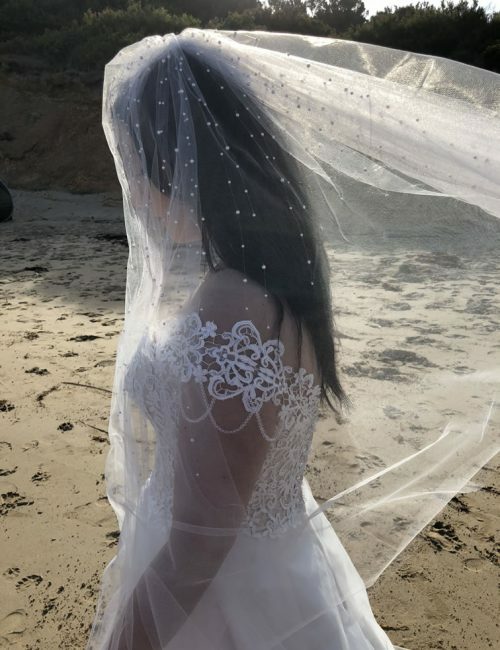 Photos of this veil went viral on Facebook and Instagram straight after her wedding! 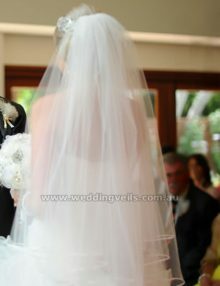 Please note: This veil is made to order. Production time frame is 6-8 weeks. If you need it quicker than that, we can do it as a rush order. 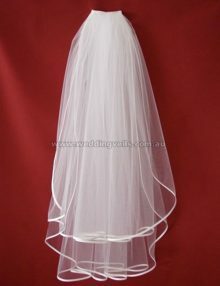 Delivery within around 3-4 weeks (within Australia). It can’t be made any quicker than that due to the time required to hand sew all the pearls. Please select in the checkout process. Rush fees apply. Remember FREE SHIPPING by standard parcel post. Order it now!